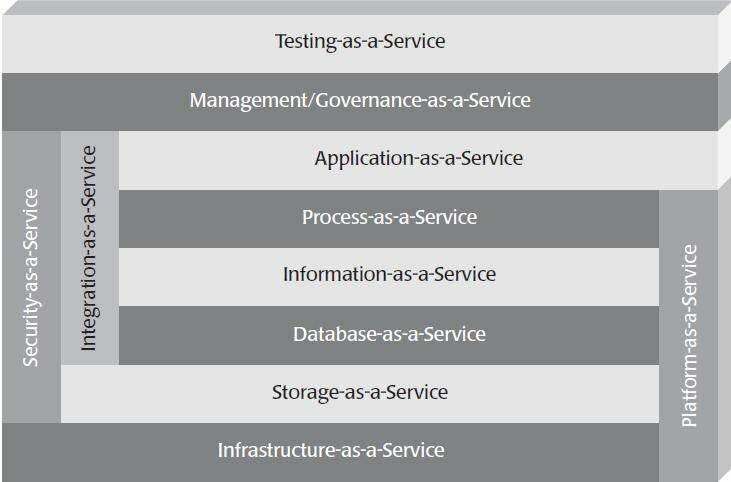 Use this chapter excerpt to get definitions of the different types of cloud computing provider services, including application-as-a-service and integration-as-a-service. Solutions provider takeaway: Before a solutions provider can make a final decision on which cloud services to offer, they need to get information on cloud computing provider categories and how they fit their customers' needs. Some, such as infrastructure-as-a-service, are full platforms while others have specific problems and can't stand alone. This excerpt will help you decide which categories work best for your customer. This chapter excerpt on Making the Move to Cloud Computing (download PDF) is taken from the book Cloud Computing and SOA Convergence in Your Enterprise: A Step-by-Step Guide. Solutions providers will receive expert information on the move to cloud computing -- the costs, value, risk-related drivers and other factors you need to consider before a move to the cloud. You will learn how to take advantage of the transition from private IT management to global administration in the cloud and create business opportunities from it. Okay, now we have a data-, services-, and process-level understanding of our problem domain. We know how to test it, and we know how we are going to govern it. In Chapter 10, "Defining Candidate Data, Services, and Processes for the Clouds," we figured out which processes, services, and data should reside on-premise and which should be cloud-based. Now we need to implement our final physical architecture, meaning we pick the proper platforms, test those platforms so that we know they meet our requirements, and move and/or create the processes, services, and data on the clouds. There are a few things to remember here. First, this is just a physical instance of our architecture. The technology will change, but our architecture should remain fairly stable. This is more so the case with cloud computing, since changing cloud computing providers is much easier and less costly than changing on-premise systems. Second, we select the technology or cloud computing provider during this final step. We reserved this decision until now because we wanted to remain objective up to this point to consider the valuable information that came to light during the processes we followed in the last several chapters. If we get into this with the technology in mind, we are likely to skew the architecture toward that technology, which could be the wrong choice. Finally, the number of hardware, software, and cloud computing providers leveraged will be many or few, depending on the needs of the architecture. No matter the numbers, our solution simply needs to be the appropriate one. Some target architectural instances will be complex, some simplistic, depending on the needs of the business and what we determined in the last several steps outlined in this book. In this chapter, we focus on the cloud computing part of the architecture, including all on-premise and cloud computing--based systems. We are, as you may recall, simply extending our SOA to the platform of the clouds. We must deal with all on-premise hardware and software issues as well, including leveraging existing systems, creating new systems and services, adding new technology and governance, incorporating security, and so on. Also, this chapter introduces the concept of the private cloud, which we covered briefly in Chapter 1, "Where We Are, How We Got Here, and How to Fix It." Private clouds are virtualized hardware and software resources that exist within the firewall, within the data center, providing cloud computing-- like characteristics around the ability to better utilize hardware and software resources within the enterprise. This is also an architectural option. As you can see in Figure 11.1, there are many patterns, or categories, in the world of cloud computing that you can leverage to meet the needs of your architecture. Some, such as security-as-a-service and testing-as-a-service, solve specific problems, and others, such as platform-as-a-service and infrastructure-as-a-service, provide complete platforms. They all have trade-offs and different problems that each solves. However, you must consider them all in light of your architecture. Figure 11.1 The patterns or categories of cloud computing providers allow you to leverage a discrete set of services within your architecture. We can further break them down into fine-grained solutions, or those providers who solve very specific problems that alone cannot be considered a platform, and coarse-grained providers, or those who unto themselves are a complete platform. It is helpful to do this breakdown because one coarse-grained cloud computing provider can actually be made up of many fine-grained resources. For example, a single platform-as-as-service provider could offer storage-as-a-service, database-as-a-service, process-as-a-service, security-as-a-service, and testing-as-a-service. However, while it may seem easier to leverage a coarse-grained cloud computing solution because it provides many fine-grained resources, the requirements of your architecture may dictate a finer-grained solution. You may find that selecting many fine-grained cloud computing solutions is a much better fit for your architecture when considering your requirements and/or the ability to mesh effectively with the on-premise portion of the architecture. To make this point clearer, here are a few examples of physical instances of architecture. We first selected categories of cloud computing providers, and then we selected the providers (Example 11.1). David S. Linthicum, an internationally recognized industry expert and thought leader, is the author and co-author of 13 IT books, including Next Generation Application Integration: From Simple Information to Web Services. Linthicum also has columns in Government Computer News, Cloud Computing Journal, SOA Journal and Align Journal and is the editor of Virtualization Journal. For instance, we may store our data within Amazon Simple DB as well as on the Amazon EC2 platforms. Then, we might build and/or host the services on the Amazon EC2 platform, say, using an application server they provide on-demand within that platform. Finally, we could leverage Appian Anywhere as the platform where those processes live. Keep in mind that the processes are connected to the services, and the services are connected to the data, as we described in earlier chapters. We are just selecting the target platforms here. This solution could become more complex by leveraging more cloud computing providers (Example 11.2). Or, as in Example 11.3, it could become a bit less complex by leveraging a single infrastructure-as-a-service cloud computing provider. We must also consider the other core components of the architecture, including security and governance, which can be deployed as on-premise or cloud-based, depending on our needs. Testing also can be delivered as a service or be on-premise as well. The purpose of this exercise is to illustrate the number of architectural options we have, and how we can mix and match them, to form our final architecture using as many or as few as needed to address the requirements of the architecture and the business. This chapter excerpt is from the book, Cloud Computing and SOA Convergence in Your Enterprise: A Step-by-Step Guide, authored by Dave Linthicum, published by Addison-Wesley Professional, Sept. 2009, ISBN 0136009220, copyright 2010 Pearson Education, Inc.